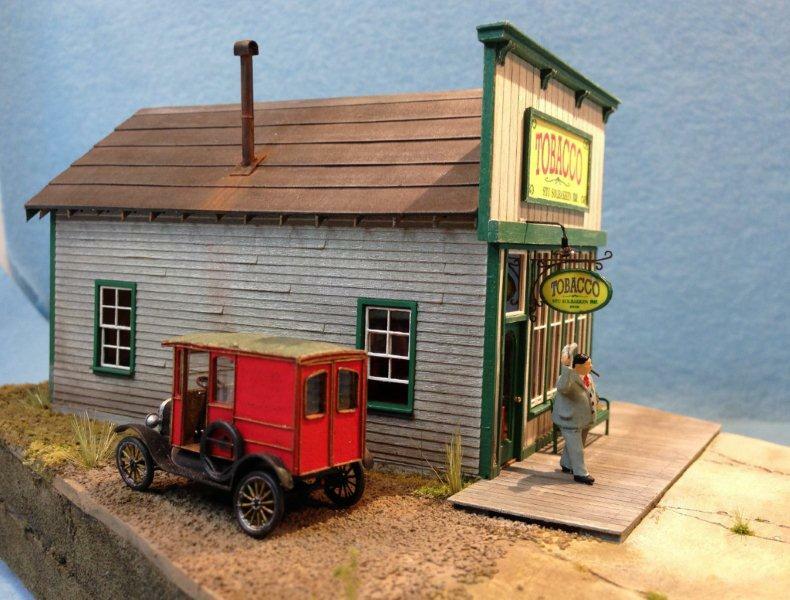 Scenery, boardwalk, vehicles, and figures not included. 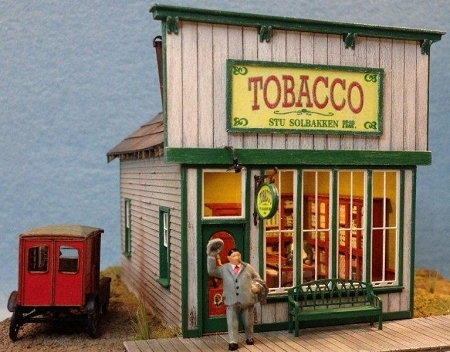 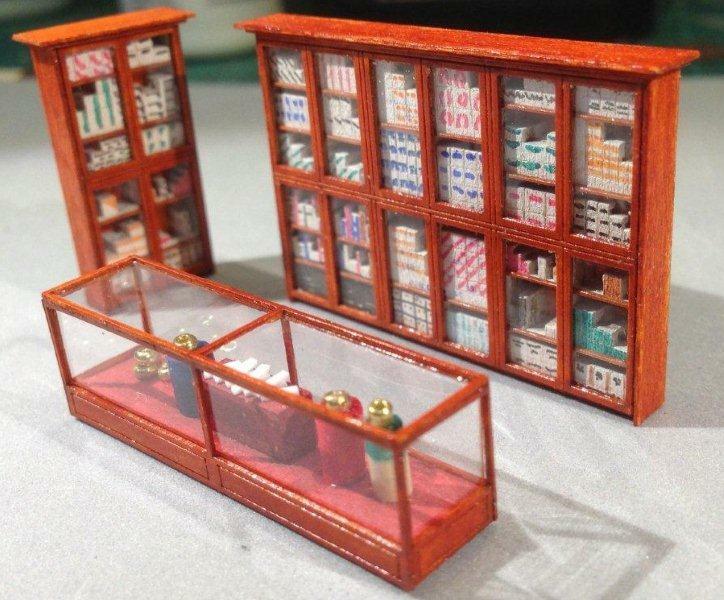 Stu Solbakken’s Tobacco Shop is a typical 1890’s false front building that was found in the Northwest frontier and right across the mid-west. 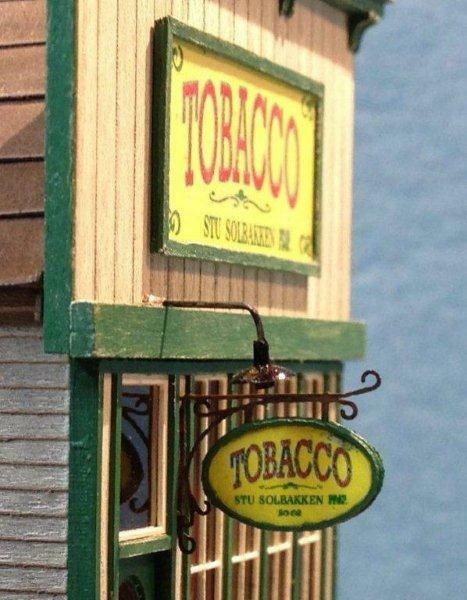 A number of similar samples still stand today. 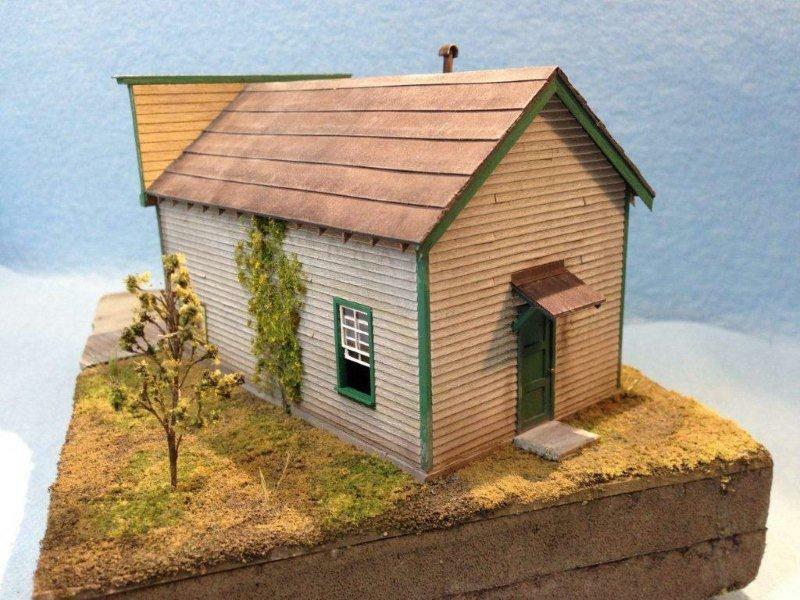 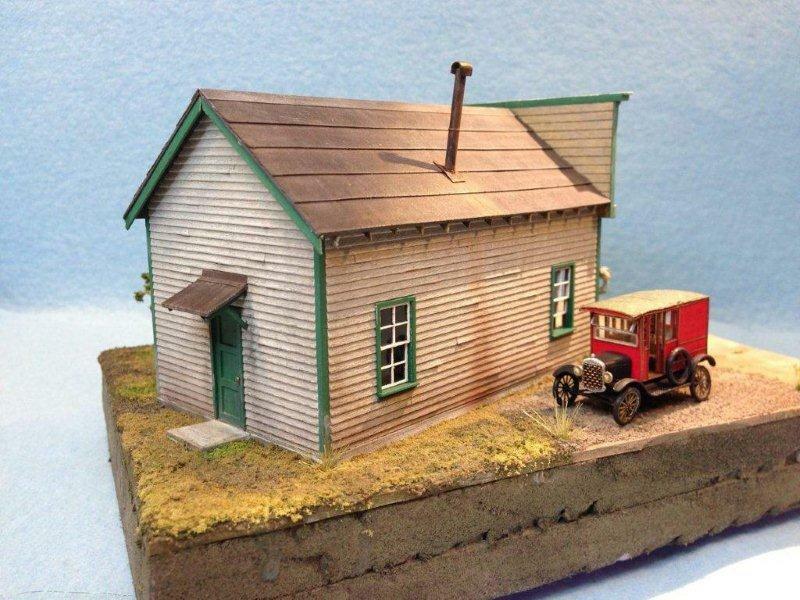 This kit takes advantage of the large front windows to show off the included interior walls, wainscoting, and components that really bring this kit to life on your layout. 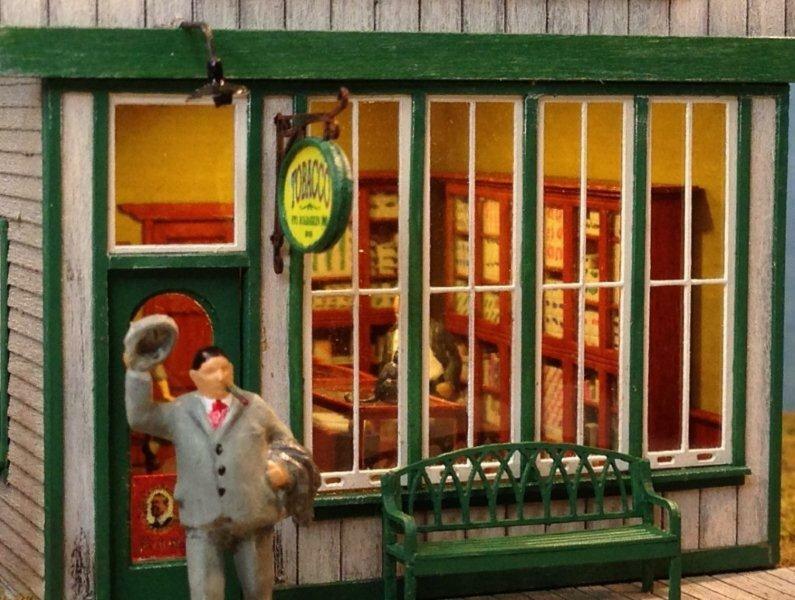 The footprint is smaller, but is packed with details right down to the brass door knobs!